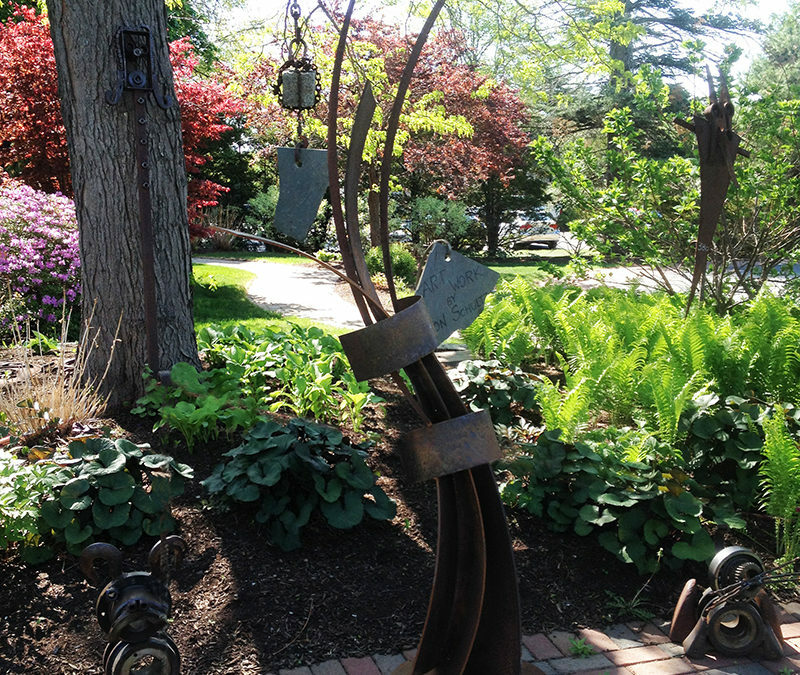 Art in the Garden – Jason Schultz | Faddegon's Nursery, Inc.
Jason Schultz is an award-­winning landscape designer and self-­taught artist living in Albany, NY. Many of you will recognize Jason as one of Faddegon’s valued staff members doing residential design, retail sales, garden consultations and lectures. Hailing from rural Minnesota, Jason graduated in 1996 from the University of Minnesota’s School of Architecture and Landscape Architecture with a Bachelor of Environmental Design. His innate sense of creativity influences all aspects of his work and play. Jason works with reclaimed wood, metal and stone. 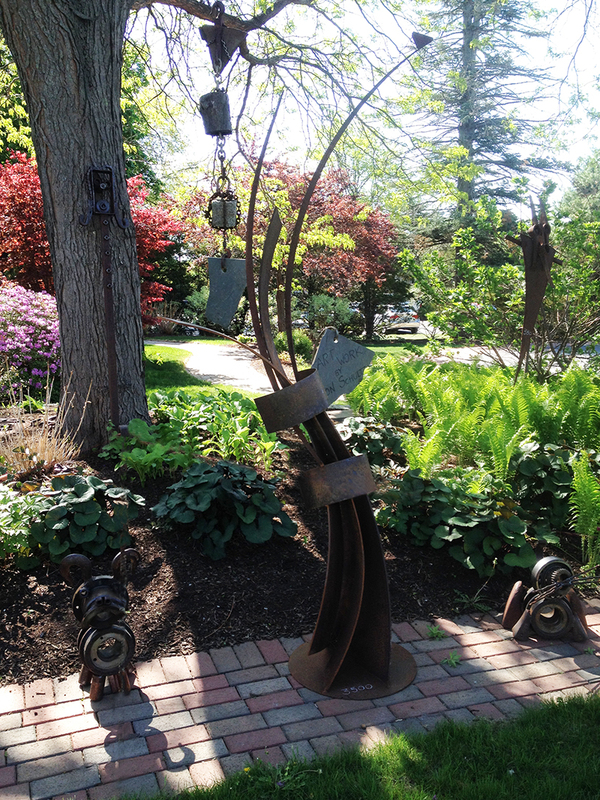 Others may see scrap metal, refuse or everyday raw materials, while Jason envisions their potential for engaging art. He welds, grinds, chainsaws and paints to transform discarded materials into fearsome warriors, robust bird baths, striking sculptures and whimsical pooches. Jason has exhibited his work in the Albany Center Gallery, Market Place Gallery, the Visitors Center at Quackenbush Square in Albany, the Cultural Center at RPI in Troy, the “Dogs in the Park” outdoor sculpture exhibit in Altamont and the “Convergence” art show in New York. He’s also shown his work in local events including Art on Lark, Art Night Schenectady, Albany’s 1st Friday, September in the City Art Fair, Tulip Festival and the Home and Garden Show at Times Union Center. Currently, you can view Jason’s work along the left side of our entrance as you drive in. Jason and his wife, Cindy, a talented photographer, have been living in the Capital Region since 1998.